You'll visit kid-friendly attractions like Rockingham Beach and Matilda Bay Reserve. You'll explore the less-touristy side of things at Kayaking & Canoeing and City Beach. Get out of town with these interesting Perth side-trips: Whiteman Park (in Whiteman), Mandurah (Dolphin Quay, Silver Sands Beach, & more) and South Beach Recreation Reserve (in Fremantle). 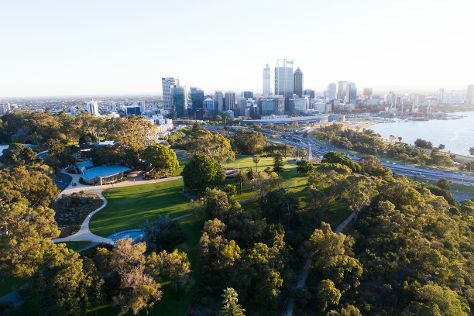 There's lots more to do: admire the natural beauty at Kings Park & Botanic Garden, explore the activities along Swan River, appreciate the history behind Kings Park War Memorial, and get great views at Fraser Avenue Lookout. For other places to visit, reviews, where to stay, and tourist information, you can read our Perth trip itinerary maker . If you are flying in from Singapore, the closest major airport is Perth International Airport. In April, daily temperatures in Perth can reach 31°C, while at night they dip to 15°C. Finish up your sightseeing early on the 13th (Sat) so you can travel back home.